The National Park Service will honor all military veterans with special events and free entrance to all 401 national parks for everyone during the Veterans Day weekend, November 9 through 11. 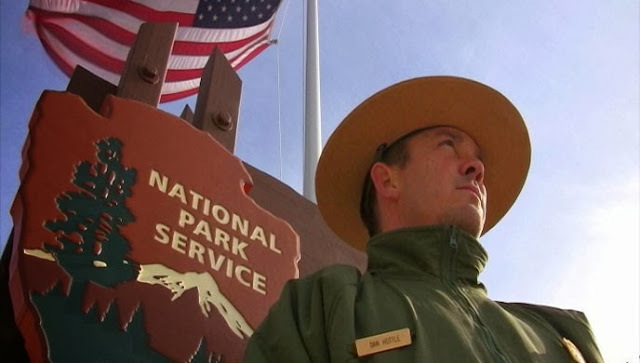 Dan Hottle is a combat veteran and National Park Service ranger at Yellowstone National Park. Hallowed places such as Saratoga, Fort McHenry, Vicksburg and the USS Arizona Memorial are among the 94 National Park Service battlefields, military parks, national cemeteries and military-related historic sites that commemorate the service and sacrifice of veterans throughout our country’s history. Additional national parks preserve American icons like the Statue of Liberty, Mount Rushmore and the Liberty Bell which have inspired generations of troops.